Our church turned a corner this year. About 15 months ago ago, we felt it. Something wasn’t quite right. I couldn’t put my finger on it, but my youth pastor verbalized it. “Is it me, or is something off lately?” he wondered. I reminded him of several times in the last 23 years when we needed to make big changes. “It’s another one of those seasons,” I said. Actually, I didn’t say it like that at all. I said “let’s walk through this,” and we did. We stumbled around in hours of prayer and conversation for several weeks before we could verbalize it that way. Then we looked for and implemented new ideas. And they worked! Our church has turned a corner. We’re more vibrant, healthy and passionate today than we were a year ago. People feel it and are expressing it. Even if they don’t know what happened. Here are 7 steps that helped us turn a corner from not-yet-stale to renewed and passionate before (almost) anyone else knew there was a corner to turn. Sometimes you just feel it in the air. Or in your spirit. At other times, you notice a drop in giving. Or you see long-term volunteers taking a break they’ve never taken before. Some people start attending less often. Some are checking out other churches. Are other churches attracting our members? Or is our church not keeping them? When people leave for the cool new church, it isn’t always them. Wise church leaders are humble enough to ask hard questions. Are other churches attracting our members? Or is our church not keeping them? As pastors, we have an obligation to hear the church’s heartbeat. We can’t call ourselves leaders if we don’t. As we assessed our situation, we saw the need for a couple of short-term fixes right away. But short-term fixes only deal with short-term issues. 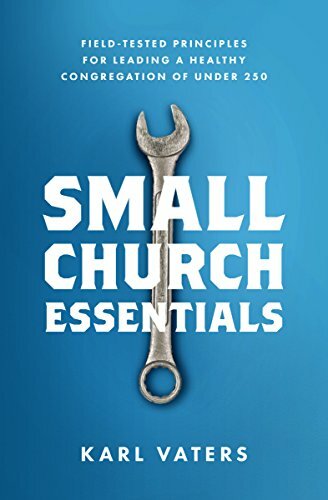 If we want a healthy church, we need to be see the big picture. For us, that included a serious recommitment to three things: worship, discipleship and fellowship.